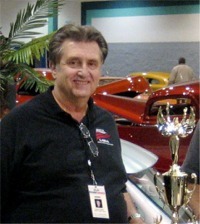 As of the time of this writing, the eight top contenders for the Ridler award hadn’t been selected. 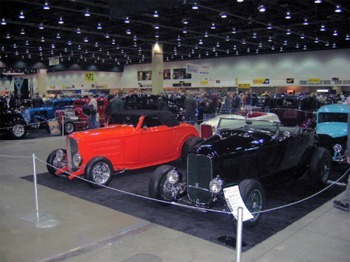 But the real draw at the 55th Detroit Autorama was the celebration for the 75th Anniversary of the ’32 Ford. 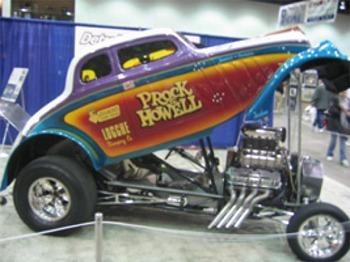 Last year it was the tribute to the genius of Ed Roth. This year’s tribute to the Duece took up two center sections. Nineteen ’32’s of every shape and description were present and represented every deuce made except the woody. 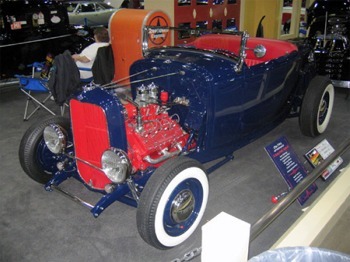 A beautiful and very rare, original ’32 pickup was there. 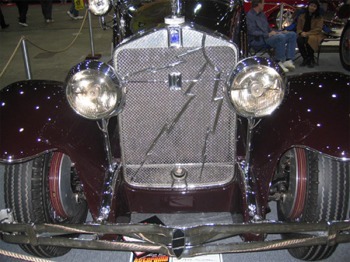 In addition to the original classics, there was a wide variety of rods in both new and original stamped steel. The 75th Anniversary of the Duece was well-celebrated. 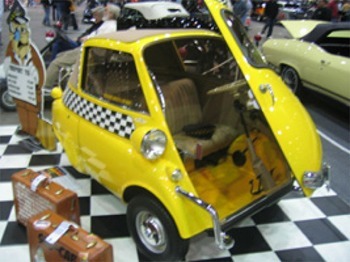 But the real greatness about the Detroit Autorama is that there is much more to see and do than at most indoor car shows. 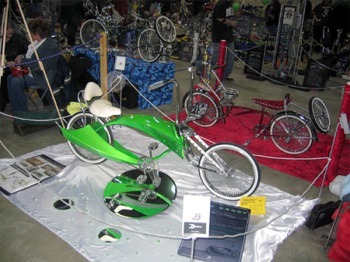 If you are young and into custom bicycles they have a place for you. 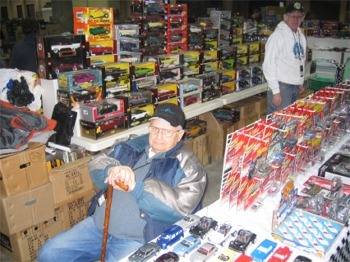 If you are young or just young at heart and into model building, they have a place for you to compete as well. 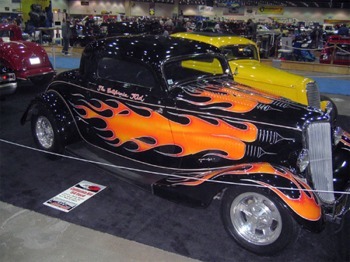 If you don’t have pockets deep enough to build a Ridler contender they have opened up the basement of Cobo Hall to the traditionally built cars affectionately known as ‘rat rods’. 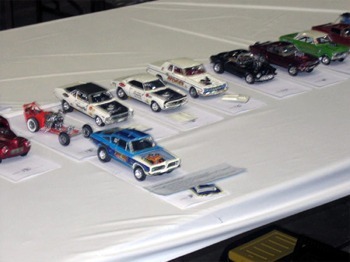 This section of Autorama has been growing along with the number of new builds who are going back to flatheads. 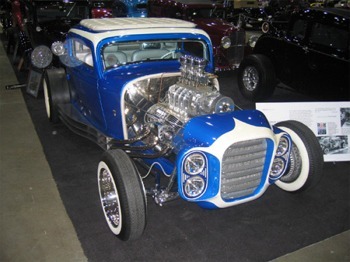 Each year I see more and more and it seems to be signaling a renaissance of the traditional street rod. 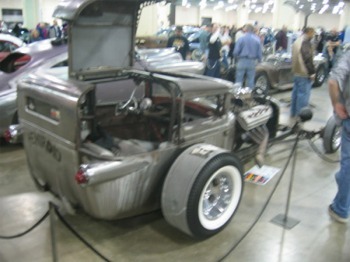 The bowels of Cobo Hall was the home to the Rat Rods. 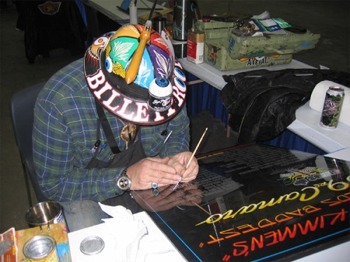 You could buy just about anything from a piece of your favorite NASCAR car or current car model to an original title or car ad from yesteryear. 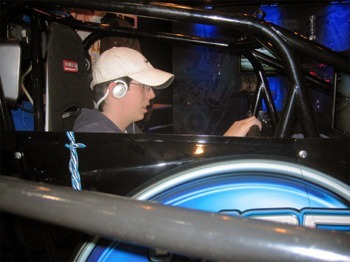 One popular attraction was the dragster simulator which provided the sight, feel and sounds of quarter mile competition. 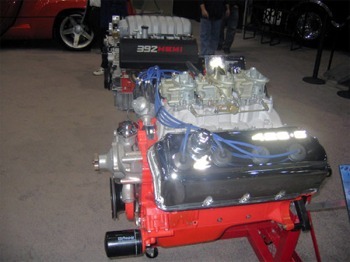 The Chrysler Group put aside their current problems to field several of their retro-look concept cars along with their stable of crate power plants. The famous California Kid made the trip east. 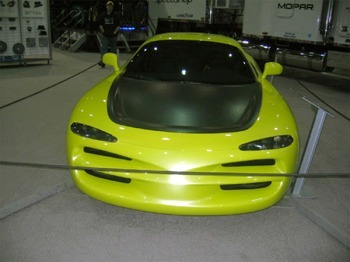 The Chrysler Group fielded several concept models that looked great. Venders of all kinds were plying their wares and answering questions. 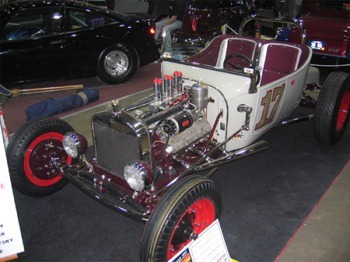 Flatheads seem to be making a real comeback. Last minute cleaning to acquire that mile deep sheen. 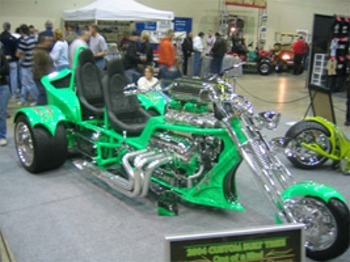 This was either a 3-Wheel car or a radically stretched motorcycle. The dragster simulator always had a line to get in. 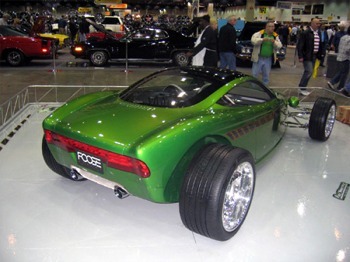 Something new from Foose Design. 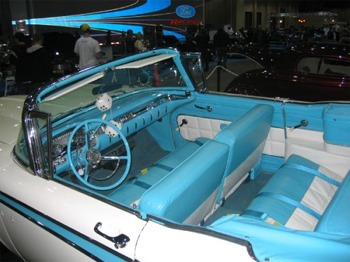 There is nothing like a 50’ convertible with a pastel interior to get one thinking about spring. If you couldn’t find a car model here, it just didn’t exist. 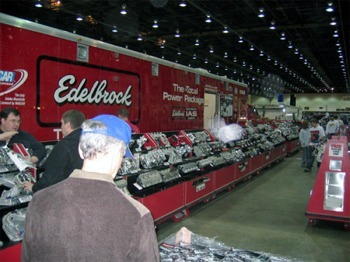 The Stripers Jamboree was in full swing. I think the hat is for inspiration. 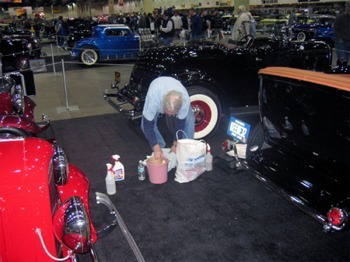 Local long time Detroit customizer, Chuck Miller shows he still has the right stuff. 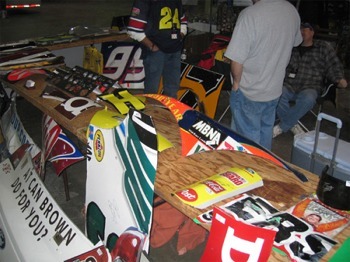 If you were a NASCAR fan, you could pick up a piece of one of your heroes. All in all it was a great show. Now all I have to do is find who won the Ridler.